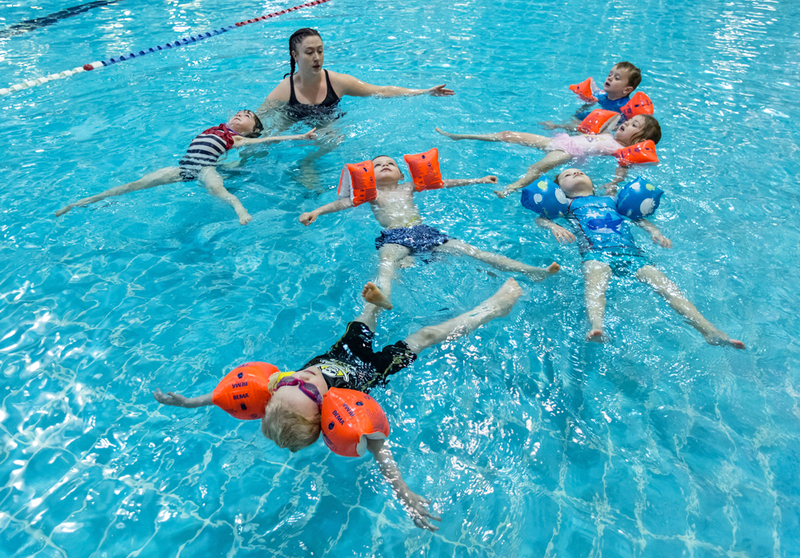 Wester Hailes offers a fun, positive and inclusive environment for learning to swim. Our programme consists of over 70 classes per week and we have lessons suitable for all ages and abilities. Due to swimming being an important life skill, we feel it is essential for everyone to learn the basic skills. Our swim team are very ambitious and are keen to develop each individuals skills, to the best they can be. These classes are full of fun, games, songs and activities. Our aim is to teach the parents as well as the children of the safety aspects of swimming, different support positions and how to have fun through play and learning. These classes are aimed to develop the childs basic swimming skills through playing games, sing songs and fun activities. 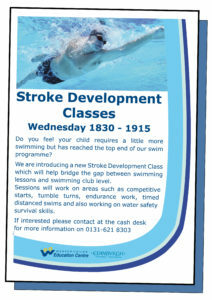 These are water confidence classes to ensure the child is ready to progress onto stroke techniques. This is a beginner level for children 5 years old and above. This level is designed to develop the basic core skills required to develop strokes. There will be an introduction to stroke work at a basic level. All strokes will be covered throughout the term. Children will be working on a distance of approximately 5 metres, once they can successfully complete the performance criteria set for this level they will move onto level 2. This level is based on a distance of 5-10 metres, it will look at developing stroke work to a stage where the children can complete a distance of 10 metres successfully on several different strokes and can also complete a performance criteria set for this level. This level is aimed at developing distance as well as continuing to develop stroke technique. Swimmers will be encouraged to learn starts and turn skills as well as some personal survival. They will be working a distance of 10-25metres. This again is aimed at increasing the distance a swimmer can complete competently at all 4 strokes. The swimmers will be taught how to add starts and turns into their strokes and developing personal survival skills. Swimmers will cover a distance of between 25-50 metres. This is the highest level, where we look at bridging the gap between lessons and coaching. 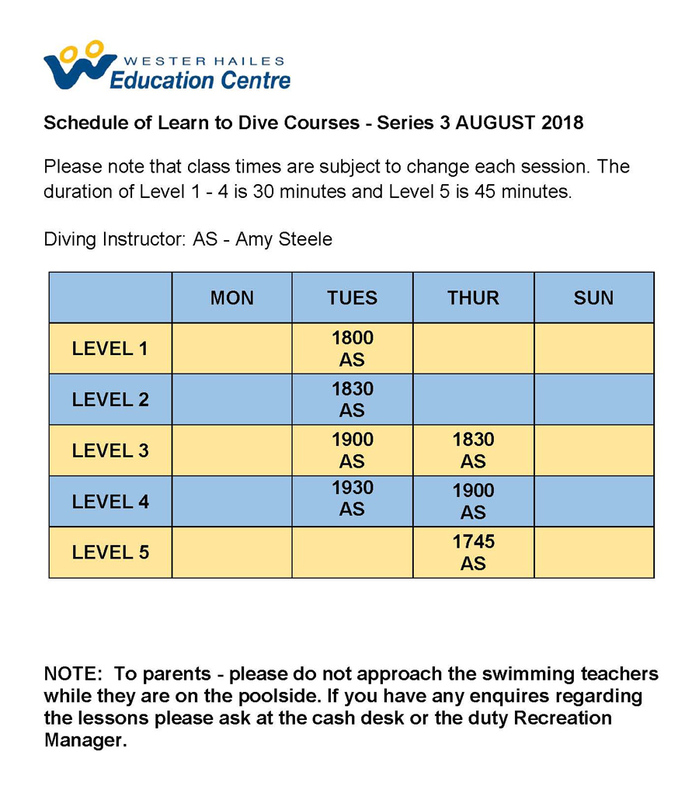 This level is ideal for swimmers looking to develop their skills to club level or even just to continue improving their skills within swimming. We focus on using the pace clock to time rest periods and challenge the speed of their strokes. Swimmers are encouraged to use starts and turns continually during their swim session. These classes are run by a teacher with over 10 years’ experience working in the disability field. During this session, symbols will be used as a type of communication to help focus the session along with Sign a long for swimmers who don’t fully understand verbal communication. Learning will be done through play and games in a structured environment which makes it safe for the swimmers to learn the core skills of swimming and hopefully progress onto stroke work allowing them to enjoy the water as much as possible. This level is designed for swimmers who are in their teenage years and feel uncomfortable learning alongside younger swimmers. Classes are run to a level that suits each individual swimmer and allows them to feel comfortable in the learning environment. Swimmers will cover a distance of between 5-10 metres and if they progress on from that they will then be given the opportunity to swim further. Core skills will be taught 1st and then stroke technique will be added at the right time. Adult level 1 is designed for swimmers who are scared of the water and are looking to get over their fears alongside swimmers who have never learnt the core skills of swimming. This class will be run according to what the adult wishes to learn and achieve. 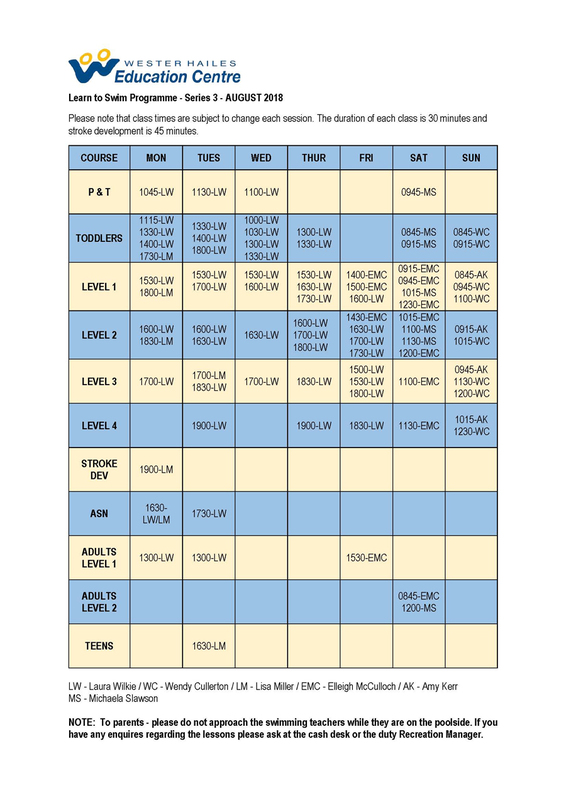 Adult Level 2 is for customers who already have a basic understanding of swimming and are looking to develop strokes, technique or distance.